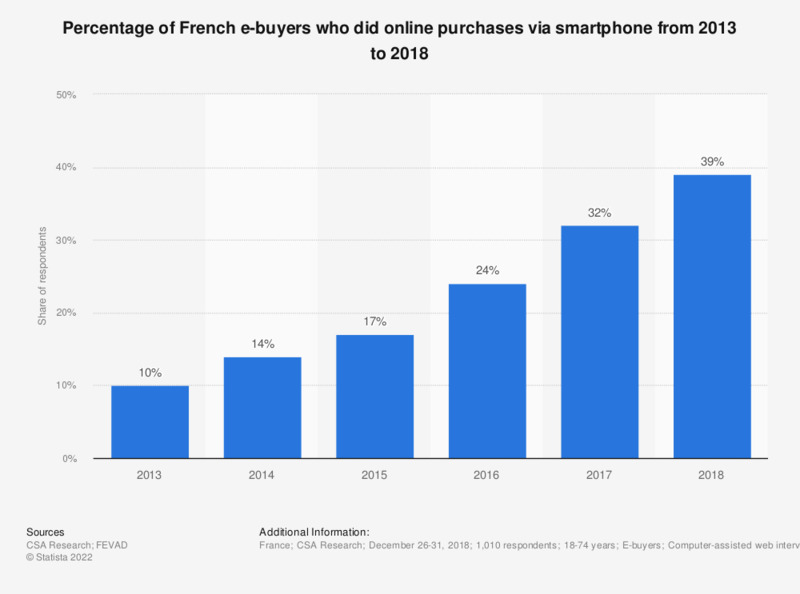 This graph presents the percentage of French e-buyers using a smartphone to carry out online purchases in a survey in 2018. It shows that the share of French who did online purchases via smartphone increased from 10 percent in 2013 to 39 percent in 2018. * This question was phrased by the source as follows: "A partir de quels équipements achetez-vous sur internet? - Smartphone"
When doing this kind of shopping on your smartphone or tablet, what is t your first reaction?